Seventeen years ago, I was invited by a close family friend to come join this summer camp that she and her daughters had been a part of for the last twenty years. She’d been telling me about this loving, fun, dedicated community for years, and now that my son was old enough, we could finally accept the invitation. I was intrigued by the possibility of this family-like community, and after that first week of camp, I was so captured by these wonderful, accepting people that I knew I would go back year after year and do what I could to continue moving the camp into the future. 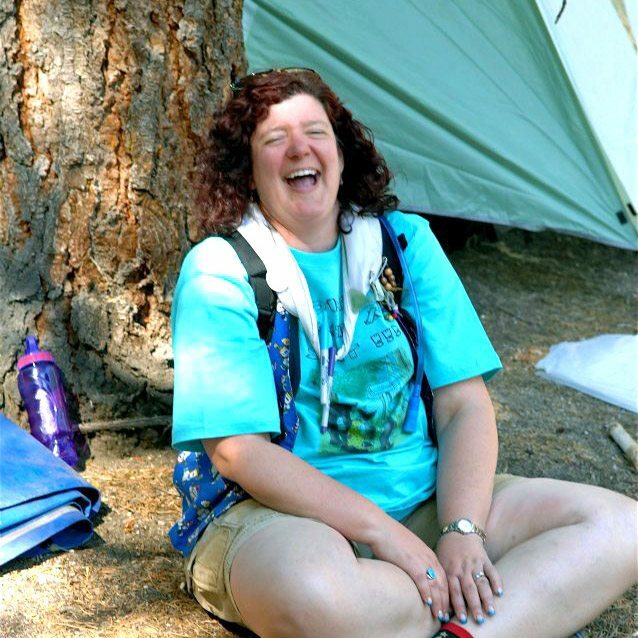 I had discovered a journey at a summer camp - from making lifelong friends, to giggling while leading songs at campfire, to applying life skills, like honesty and integrity, to my life. I’ve worn many hats and today I am Scarf Director. I love being Scarf Director. I get the chance to have deep, relevant conversations with just about everyone at camp. It brings me much joy to make myself available for scarf discussions. Laughing! At campfire, flag pole, meals, and hanging around with my friends.